We were asked to enter the Ideal Home Show’s Professional Cake Decorator of the year with a theme of Prince George’s 1st birthday. 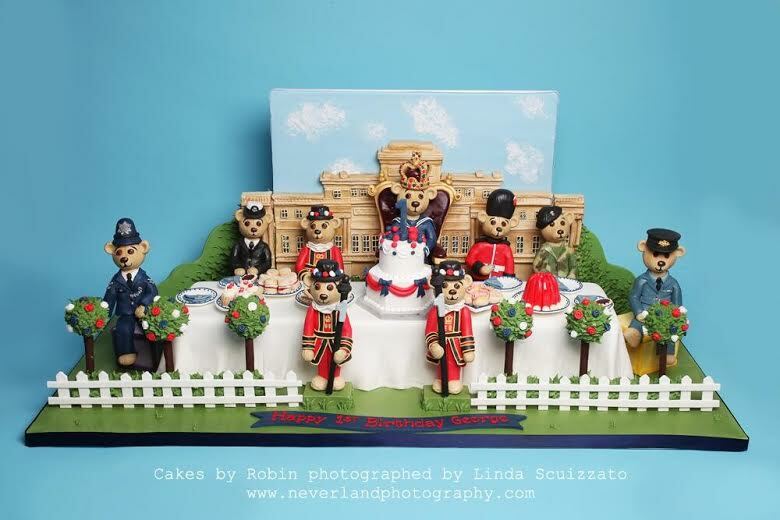 We decided to do a teddy bear’s picnic inspired cake complete with teddy bears dressed in armed forces uniform tucking into their picnic food. 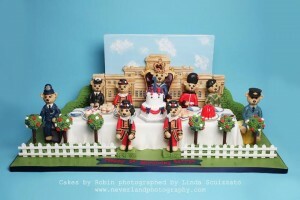 It was only fitting to set the backdrop of the picnic cake against a sugar version of Buckingham Palace. I literally love it! By the way, this cake was 5ft long.